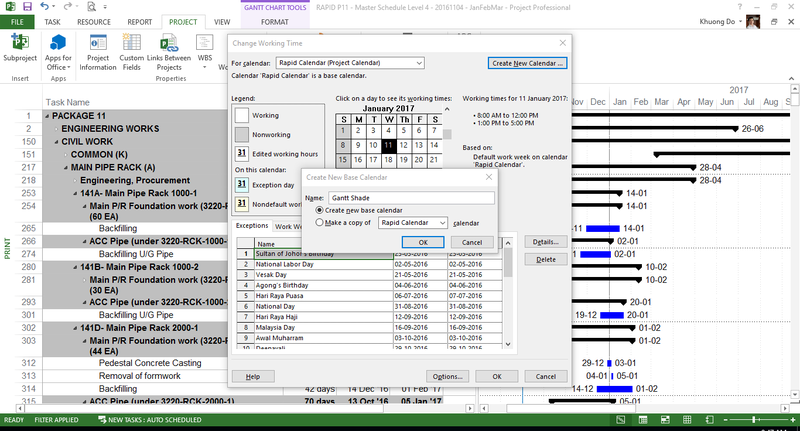 MS Project do not provide a tool to highlight a time period in Gantt chart. First you create a new calendar. For example "Gantt Shade"